Germany has established itself over the recent years as the economic powerhouse of the EU. It’s also one of our biggest markets with over 100,000 Americans alone living and registered in the country. In terms of international household goods transport and automobile shipping, last year we assisted over 500 Americans with the relocation process. Germany is centrally located in Europe, which makes it an ideal access point to the other countries. If you are going to be shipping items through Germany, it will be important to find out the customs regulations on your items beforehand. There are a few specifics, particularly when it comes to bringing a motor vehicle into Germany, and then there are also EU guidelines. Additionally, many international shipments to Germany from the U.S are due to the relatively large number of armed forces members who are stationed across the country. Our 30+ years of experience shipping goods to Germany is something we take pride in and if you are considering accepting a position with your company in Berlin or taking a track car to the Nurburgring, our team can make that happen. What Kinds of Items do you Need Transported? Although we specialize in cargo shipments of household goods and vehicles to Germany, there are a number of other items that can be shipped through us. 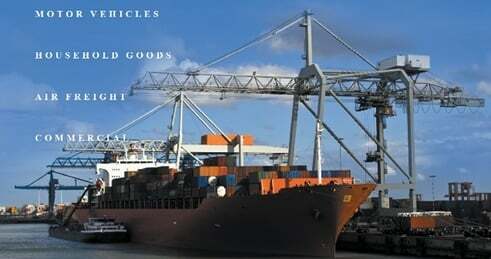 Some of these include shipping motorcycles, specialty goods, oversized items, and boats. The easiest and most accurate way to get a quote for international shipments to German cities is to fill out our online form, or give us a call at 800-599-0190. To speed up the process there are a few important bits of information to have on your end. We’ll need to know specific dates (for pickup and delivery), the destination’s address or exact town, and all special requests you may have. The additional information will depend on the type of shipment; i.e. vehicle, home, pet, etc. Germany is bordered by 9 other countries in Europe. There are an a large number expats living in England and most live in Munich, Berlin. The country of Germany is a little smaller than Montana but has a population of 81 million roughly.